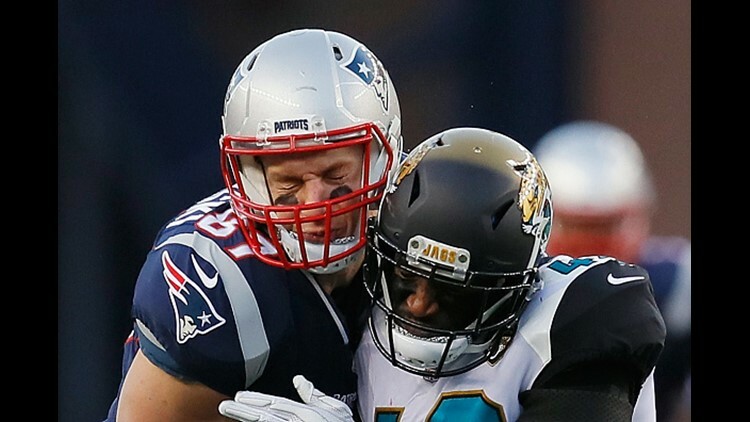 Can Jaguars finally conquer Tom Brady, Patriots? The Jaguars are the only AFC team never to defeat the New England Patriots quarterback in his 19-year career, now 0-8 (including the playoffs) against him. 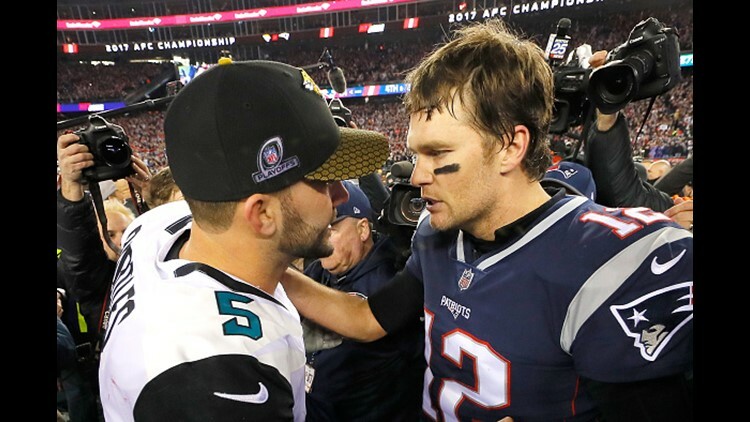 For the Jacksonville Jaguars, the path to AFC legitimacy always has run through Tom Brady. With a loaded defense returning and the Patriots navigating a handful of offensive changes, Jacksonville has its best shot yet at toppling Brady when it hosts New England on Sunday. But doing so will still require a confluence of events tilting in the Jaguars' favor. The most intriguing showdown with the game is unquestionably Jalen Ramsey's impending faceoff with Rob Gronkowski after the Jaguars cornerback ridiculed the Patriots tight end in the offseason. And while Ramsey said that Gronkowski would have to line up against him, the Jaguars might use a variety of players — including linebackers Myles Jack and Telvin Smith and safeties Tashaun Gipson and Barry Church — to counter the four-time all-pro. But even as the acknowledged focal point of the Patriots' passing attack, Gronkowski poses a special problem for Jacksonville given Brady's willingness to throw to him even in double coverage. With New England's wide receivers recording just nine catches last week, it seems unlikely Brady will test the Jaguars often on the outside. While running backs James White and Rex Burkhead should be frequent targets working underneath, the Jaguars' linebacker tandem of Jack and Smith might be the league's best equipped duo to handle such an assignment. Brady will also have to deploy a quick trigger against a potent Jacksonville pass rush that looks to have an advantage against the Patriots' offensive front. While left tackle Trent Brown has fared well in the early going, defensive end Yannick Ngakoue's speed off the edge could prove difficult for the 6-8, 380-pounder to handle. WHERE: TIAA Bank Field, Jacksonville, Fla.